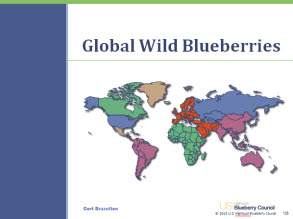 These slides are a small component of an ongoing project for the US Highbush Council, North American Blueberry Council and International Blueberry Organization. 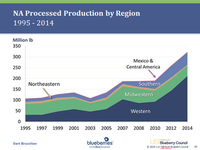 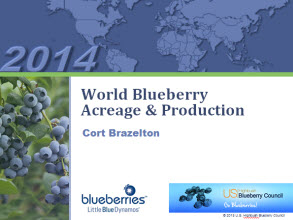 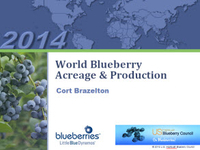 The client sends us annual data updates for worldwide blueberry acreage and production. 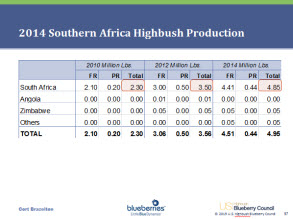 We update the source data worksheets in an Excel model that was developed by Northwest Visuals. Spreadsheets for countries and continents link to the source data and generate tables, charts and forecasts. 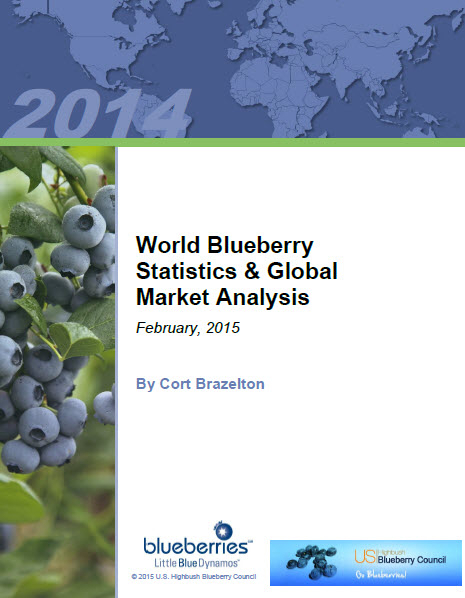 Those tables and charts link to the PowerPoint presentations and a 100-page Word report.